"Bali is a shopper's paradise..... Each trip I love to find new & interesting items for me, stock up on old favourites like facial products & search for some nice pieces of clothing. (I must admit that I fall into the trap of buying some market clothing & wearing it while in Bali, but then not wearing it much when I arrive home!)" Shop till you drop... that is certainly true in Bali. If you want, you can all enjoy. Bali is truly a shoppers paradise. Especially in places like Kuta and Denpasar. In the south of the island you will find the most diverse types of pasar (markets) and shops where you can find everything. The range of shops is very wide and you have a wide choice of woodcarvings, electronics, antique and semi-antique furniture, perfumes, paintings, delicately carved jewelery, wood and stone carvings, masks, batik fabrics and garments. Of course you can shop at the local markets, but the most suitable, you can shop in Denpasar, Kuta or Ubud. The best deals can be found in Denpasar. In the capital of Bali are many outlets shops where they sell cosmetics and perfume products at bargain prices. For clothes, you can look better in Kuta, because the clothing is made in Denpasar in a small size for locals. You can also shop for electronics and household items in Denpasar. 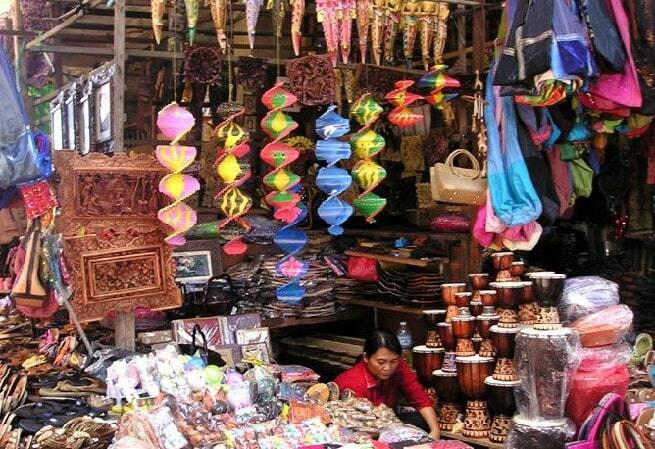 In Denpasar you will find the largest traditional market at the Kumabasarimarkt Badungrivier. Although the daily shopping is done in this market, you can shop on the third floor for crafts and textiles (batik). In the northern part of Denpasar you must go to Gajahmada Street. Here you can find crafts and some shoe shops and restaurants. In the eastern part of he city you have to go to Sulawesi Street. This is the place for all kinds of textiles on either side of the street are also a number of shops selling household items. 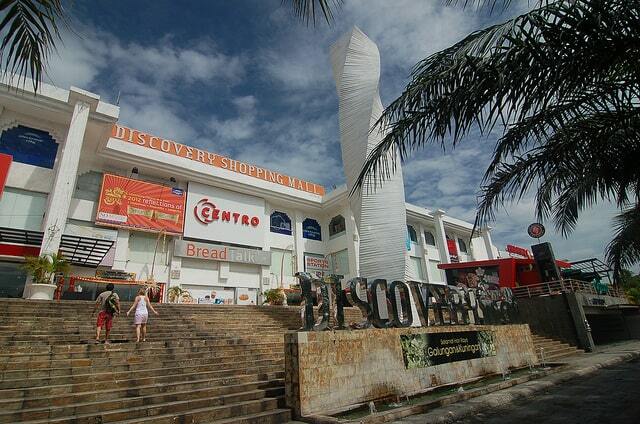 The tourist center of Kuta has completely adapted to the Western and Australian tourism. There is a great offer. There is a beautiful Discovery Shopping Mall where you can enjoy cool shopping after the heat outside. You just need to keep an eye on prices, because you better buy some items at home. The water park "the Waterbom" is located just across the road. 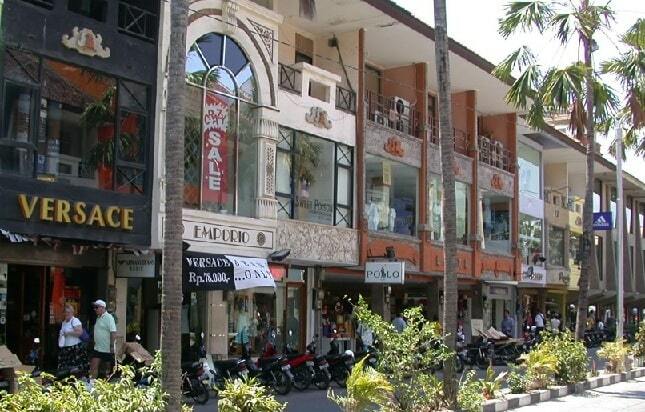 Kuta Square is a popular shopping street about 200 meters from Kuta Art Market and is also located about 50 meters from the beach. The two-lane road is flanked by rows of fashion boutiques and eateries. Kuta has a lot known Western and Australian stores (Polo, Versace, Billabong, Quicksilver), and unfortunately sometimes the prices are even higher. You can also find here many stalls with typical souvenirs. Kuta are also many shops, which are specialized in selling special art objects and antiques. Therefore you have to go to the Kuta Art Market. To a layman it may be difficult to recognize real or fake. Be careful with any purchase whatsoever. You will find in Kuta international and world-famous designer shops, but also local and handmade curios. Shopping in Seminyak (near Kuta) is now emerging. It is one of the trendiest parts of Bali to relax and shop. In Ubud, the cultural center of Bali, you mainly find the more artistic products. Tourists who love souvenirs can live here at all! From beautiful cutlery to unique slippers. You will find in the stores many traditional Balinese items. There are all kinds of shops selling exquisite jewelry, sarongs, leather goods and silverware. You can haggle the price that you want to pay. To purchase a suit you have to go to one of the many tailors. They have the best quality materials, including the Balinese ikat (a batik type that the Balinese have perfected here). Ubud has a rich history in the field of painting and the shops here are also "full" with it. 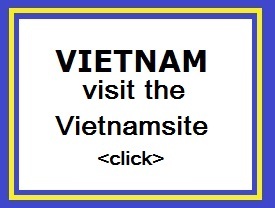 A large part of the offer, however, is geared to tourists. For original work you should visit one of the many galleries, such as Agung Rai Sumertha, Rudana, Sika and Neka, where you can meet often the artist himself. Around Ubud there are also many craft villages with their own specialization. "Buddha to Buddha" is the mark of silver handmade jewelry. The most famous establishment is located in Gianyar, close to Ubud. During your visit to the factory, you can see with your own eyes how these ornaments are made. After the tour you can't refuse a visit to their shop. There are also villages with bamboo products, masks, paintings and gold and silver. In Ubud you will also find these products at one of the most comprehensive pasar, the Ubud market.